PvP Update: 35+ Artifact Traits have been disabled for Legion PvP Season 2, but will be back in Season 3. Patch 7.1.5 goes live this week, bringing us class changes, MoP Timewalking, the Brawler's Guild, Micro-Holidays, Artifact Knowledge catch up, new and changed legendary items, and more! Keep in mind that the Nighthold raid is targeted to open on January 17, 2017 and is not opening this week. The official notes have been released and updated several times! Patch 7.1.5 makes catching up on Artifact Knowledge easier for new players and alts! 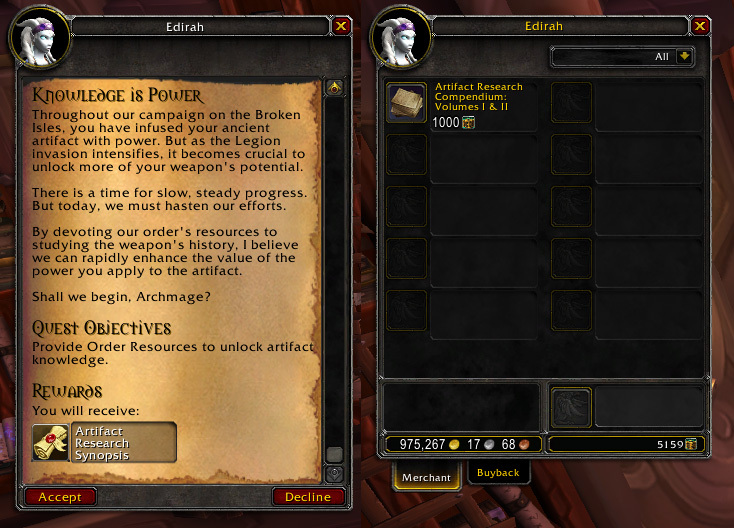 You can turn in 500 x Order Resources for one Artifact Research Notes, up to Artifact Knowledge level 15. These are BoP items, so you can only use them on the character you complete the quest on. The Artifact Research Compendium items are sold by the Artifact Knowledge researcher in your Order Hall for 1000 x Order Resources. These are BoA items, so you can purchase them on your main character to send to alts. These only allow you to purchase a book with lower Artifact Knowledge than your current Artifact Knowledge level. For example, characters with Artifact Knowledge from 15-19 can purchase Artifact Research Compendium: Volumes I & II, granting their alt Artifact Knowledge 10. Crest of Carnage Reach Prestige level 9 10 and earn a Crest of Carnage. 10 points. Crest of Devastation Reach Prestige level 13 15 and earn a Crest of Devastation 10 points. 7.1 - Max Work Orders for Artifact Knowledge (Do Not Localize) (New) Hidden Achievement to be used to disable Artifact Knowledge Work Orders at 25 sent. 7.1.5 - Max Catch Up Work Orders for Artifact Knowledge (Do Not Localize) (New) Hidden Achievement to be used to disable Artifact Knowledge Catch Up Quests at 15 work orders. Reputation tokens for the Mists of Pandaria factions are also for sale. These will probably cost 50 x Timewarped Badge, similar to the tokens for the other Timewalking Holidays. Patch 7.1.5 adds some new smaller holidays to the game. These last a few days or less and don't reward achievements, items, or any permanent rewards for the most part. Kirin Tor Tavern Crawl (January 31?) - Visit different taverns around the world to collect well fed buffs and temporary hats. Hatching of the Hippogryphs (February 23) - Witness the hatching of hippogryphs in Feralas. You can obtain a temporary baby hippogryph that sits on your shoulder. March of the Tadpoles (April 5) - Each year, the Winterfin murlocs allow their tadpoles free reign over their village. You can make a difference by adopting your favorite, feeding it, and protecting it from nearby predators. Volunteer Guard Day (April 28) - Take on the appearance of a guard and help to defend the city. Spring Balloon Festival (May 10-12) - Several of Azeroth’s characters are giving tours of Azeroth in their hot air balloons. You'll enjoy their commentary and interact with other citizens as you take in the scenery. Glowcap Festival (May 27) - Head to Sporeggar in Zangarmarsh, collect some rare mushrooms, and help the sporelings heal the great mushroom, Fshoo. You’ll gain a bit of Sporeggar reputation for helping them out. Thousand Boat Bash (June 6-8) - This is a chance to unwind a little, away from the lurking danger of the Burning Legion in Thousand Needles. Un'goro Madness (August 10-12) - Help take on group boss level dinosaurs in Un'Goro to earn some temporary evolution buffs. Call of the Scarab - January 21-23 - To commemorate the first ringing of the Scarab Gong on January 23, 2006, players will be able to relive a portion of the Ahn’Qiraj gate opening by collecting items for turn-in. The winning faction will then be able to claim bragging rights and have their faction flag hang over the gates until the next Call of the Scarab micro-holiday event. Hatching of the Hippogryphs - February 23 - Those who head to Feralas will be able to bear witness to the yearly hatching of the hippogryphs. You may even make a little friend for the day. March of the Tadpoles - April 5 - Each year, the Winterfin murlocs allow their tadpoles free reign over their village. You can make a difference by adopting your favorite, feeding it, and protecting it from nearby predators. Volunteer Guard Day - April 28 - Step into the shoes of a guard in the major cities with a /salute and you’ll get to serve and protect the city just like them. Stay vigilant and watch out for any invaders. Spring Balloon Festival - May 10-12 - Several of Azeroth’s characters – some of whom you might recognize – are giving tours of Azeroth in their hot air balloons. You’ll enjoy their commentary and interact with other citizens as you take in the scenery. Glowcap Festival - May 27 - Head to Sporeggar in Zangarmarsh, collect some rare mushrooms, and help the sporelings heal the great mushroom, Fshoo. You’ll gain a bit of Sporeggar reputation for helping them out. Thousand Boat Bash - June 6-8 - Thousand Needles is where the biggest bash on boats can be found in Azeroth. It’s a chance to unwind a little, away from the lurking danger of the Burning Legion. Un’goro Madness - August 10-12 - Dinosaurs are running amok in Un’Goro. Help quell the rampage and you’ll be awarded some temporary evolution buffs. The Brawler's Guild is back, with new fights and rewards! Lots of the Nighthold loot had stats changed in this patch! New Legendary items are coming in Patch 7.1.5! 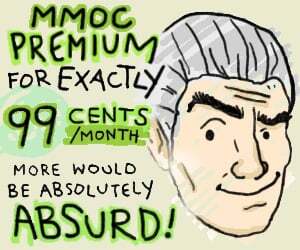 Archimonde's Hatred Reborn - Gain an absorb shield for 30% of your maximum health for 10 sec. When the shield is consumed or expires, 75% of the damage absorbed is dealt to nearby enemies, split evenly. Velen's Future Sight - Increase all healing done by 15% and causes 50% of overhealing on players to be redistributed to up to 3 nearby injured allies, for 10 sec. 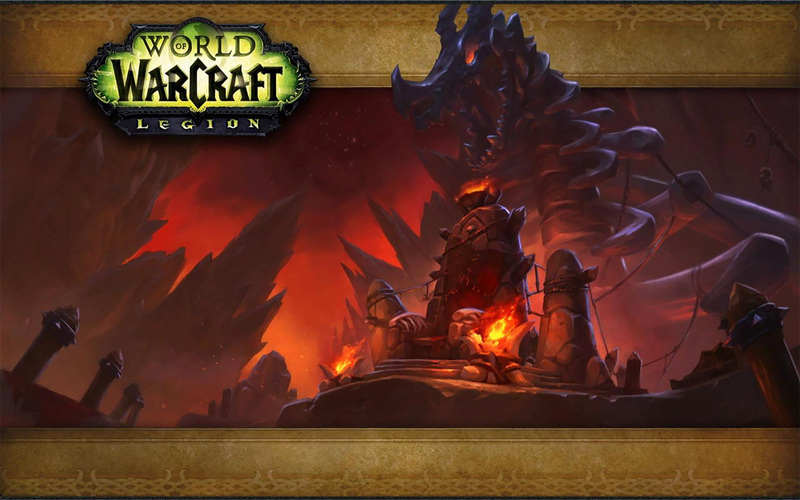 Kil'jaeden's Burning Wish - Launch a vortex of destruction that seeks your current enemy. When it reaches the target, it explodes, dealing a critical strike to all enemies within 10 yds for 407,610 Fire damage. Death March - Death Strike and Death Coil reduce the remaining cooldown of Defile by 2.0 sec. Skullflower's Haemostasis - Blood Boil increases the damage and healing of your next Death Strike by 20%. Stacks up to 5 times. Consort's Cold Core - Sindragosa's Fury has 50% reduced cooldown and Freezes all enemies hit for 3 sec. Delusions of Grandeur - The remaining cooldown on Metamorphosis is reduced by 1 sec for every 30 Fury you spend. Spirit of the Darkness Flame - Your Fiery Brand now heals you for 100% of the damage done and each enemy hit by your Sigil of Flame increases the instant damage of your next Fiery Brand by 15%, stacking up to 15 times. Oakheart's Puny Quods - Barkskin instantly grants 45 Rage plus an additional 15 Rage over 3 sec. Lady and the Child - Moonfire deals 20% increased damage and also hits another nearby enemy within 20 yds of the target. Fiery Red Maimers - After using Ashamane's Frenzy, your next Maim deals 500% increased damage and hits 2 additional enemies near the target. X'oni's Caress - Allies protected by your Ironbark also receive 75% of the healing from each of your active Rejuvenations. The Mantle of Command - Dire Frenzy gains 1 additional charges. Butcher's Bone Apron - Mongoose Bite increases the damage of your next Butchery by 10%. Stacks up to 10 times. MKII Gyroscopic Stabilizer - Your Aimed Shot grants you gyroscopic stabilization, increasing the critical strike chance of your next Aimed Shot by 15% and making it castable while moving. Gravity Spiral - Evocation gains 1 additional charges. Ice Time - Your Frozen Orb explodes into a Frost Nova that deals [ 1 + 600% of Spell Power ] damage. Pyrotex Ignition Cloth - Phoenix Flames reduces the remaining cooldown on Combustion by 6 sec. The Emperor's Capacitor - Chi spenders increase the damage of your next Crackling Jade Lightning by 50% and reduce its cost by 5%, stacking up to 20 times. Shelter of Rin - Sheilun's Gift also heals allies affected by Renewing Mist for 15% of the amount healed. Anvil-Hardened Wristwraps - Each time you dodge or an enemy misses you, the remaining cooldown on your Brews is reduced by 1.0 sec. Maraad's Dying Breath - Healing with Light of Dawn causes your next Light of the Martyr to also heal your Beacon of Light. Each ally healed by Light of Dawn increases Light of the Martyr healing by 10%. Saruan's Resolve - Light of the Protector gains 1 additional charge and has 10% reduced cooldown. Ashes to Dust - Enemies hit by your Wake of Ashes take 15% increased damage from you for 6 sec. Kam Xi'raff - Using Light's Wrath reduces the mana cost of your damaging spells by 75% for 1 sec, increased by 1 sec per ally affected by your Atonement. Rammal's Ulterior Motive - When Prayer of Mending heals, it leaves behind Rammal's Ulterior Motive on the ally for 10 sec, causing the next Flash Heal, Heal, or Holy Word: Serenity you cast on them to be increased by 15%. Zeks Exterminatus - Your Shadow Word: Pain damage has a chance to increase the damage of your next Shadow Word: Death by 25% and make it usable on any target, regardless of health level. Mantle of the Master Assassin - While Stealth is active and for 6 sec after breaking Stealth, your Critical Strike chance is increased by 100%. Uncertain Reminder - Heroism effects last 75% longer on you. Wakener's Loyalty - Each soul shard you spend empowers your Skull of the Man'ari, increasing the damage of your next Thal'kiel's Consumption by 3%. Lessons of Space-Time - While you have a Dimensional Rift open, all of your damage is increased by 10%. Reap and Sow - Reap Souls lasts 1.5 sec longer per soul consumed. Timeless Stratagem - Heroic Leap gains 2 additional charges. 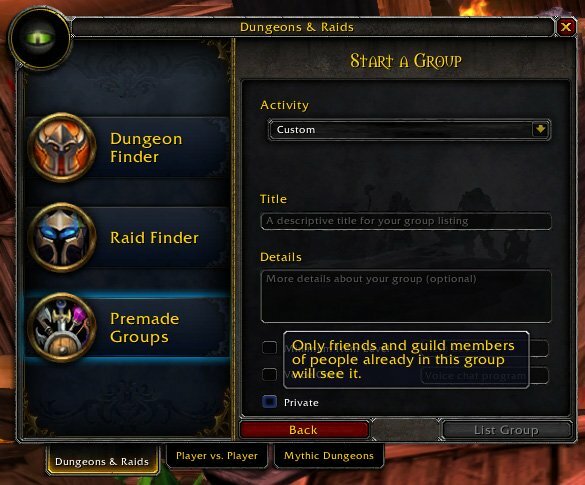 Patch 7.1.5 adds the ability to list private groups. Only friends and guild members of people already in this group will see it. Patch 7.1.5 adds strings that suggest players will be able to redeem WoW Tokens for Battle.Net balance. This would allow you to purchase character services, pets, mounts, and other things for Blizzard games. Keep in mind that there hasn't been any official announcement yet, though this was mentioned at BlizzCon as being something that the team wanted to do. Mages got Blazing Barrier and Prismatic Barrier and Hunters got new trap animations! In addition to the items listed below, Jewelcrafters got six new world quests in Dalaran, all similar to Gemcutter Needed. Many old patterns and some new ones were added in this build. They come from quests or dungeon drops. Enchanters get some new neck enchants that are inexpensive to craft. Rank 1 can be purchased from a vendor in Farondis. Rank 2 is found on creatures from specific Broken Isles zones after you know the first rank. Rank 3 has a 20% chance to be found in an emissary chest for that zone, after you know the first two ranks. Mark of the Master Permanently enchants a necklace to increase Mastery by 200. Engineers get new goggles, a new shoulder enchant, and a Rechargeable Reaves Battery. Boon of the Builder from the Boon of the Builder quest. The containers from the shoulder enchant can contain guns/gun parts, engineering consumables, new goggle recipes, and a special new reagent called Hardened Felglass, used for goggles. The Rechargeable Reaves Battery can be used once every 30 minutes and does not have charges. The amount of rating you need per 1% of Critical Strike, Haste, Mastery, and Versatility was changed. Critical Strike - Now requires 400 rating per 1% Critical Strike, up from 350. Haste - Now requires 375 rating per 1% Haste, up from 325. Mastery - Now requires 400 rating per 1 Mastery, up from 350. Versatility - Now requires 475 rating per 1% damage and healing increase, up from 400. Now requires 950 rating per 1% damage taken reduction, up from 800. The latest build increases secondary stats scaling with item level on jewelry. You can see one example below and check out the stats of your items on the PTR site. The migration to the new Curse App continues with improved addon management support and guild servers. To help out, just click here if you have Curse App already installed. When you are playing the addon will gather data and save it. When you are done playing, Curse App will see the game close and upload the collected data from the addon. Thats a patch! Good that its cold outside. Finally, I don't have to deal with mouth breathing randoms interfering with my raid lockout sharing. Honestly, who actually groups up for a Molten Core run anyway? Wait, did i read that right? Prydaz now gives haste too beside the shield? Wow. More than half of the damn changes are missing, playing hide and seek with the notes for players to prevent them from reacting/quitting? Kinda lame..
Another reason, why Blizzard don't care for EU playerbase... First US got patch, while EU sits one day still older. So Boon of the Zookeeper didn't make it in? It has been like that since the release of WOW back in 2004. Maintenance for US is on tuesday, maintenance for EU on wednesday. Clearly Blizzard hates EU and it is in no way based on any other factors! It has been like this since day one. I don't think it has anything to do with caring for EU playerbase. Might as well let people get legendaries at level 100 too? This catch up mechanic is a lifesaver there's nothing to complain about. @Monkstradamus You can get legendary at level 100, but you can't use it till 110. I want this new legendary hat for arcane mages, please. I am yet to have any, any have not complained once about it. Grow up. Same old story, if you don't like it, don't do it. It's not exactly rocket-science. when are they going to add a order resources dump? I need something to spend my nearly 300k resources on. I am not playing with LFR heroes, having the right one can boost your dps a lot. Grow up cause complaining?